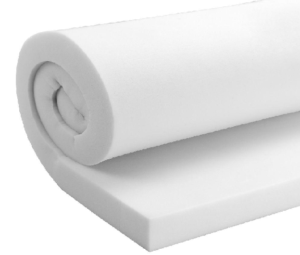 Soft foams are available in low to medium density range. 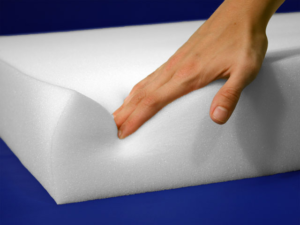 Soft foams are used for all quilting needs, mattress overlay, top lining in sofas, pillows etc. Fabric laminated soft foam is used in car seat and interior components of automobiles such as roof liners, dashboards etc. ; upholstered soft surface such as upholstered headboards, upholstered soft surface such as upholstered headboards, upholstered wall. Mattress padding; shoes; office bags; baby carrier bags; jackets and leisure appeal; hiking clothes; hats; helmets; glover; toy etc.